Almost a decade ago, The Economist had a cover story about the Brazilian economy taking off. Everything seemed fine, with the Brazilian economy on the verge of surpassing Britain and France, and on its way to economic development. 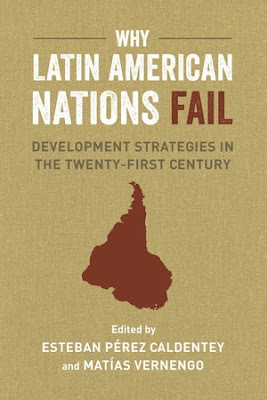 Among the reasons given for the Brazilian success was the fact that the country had “established some strong political institutions.” But many other factors were cited, like fiscal restraint, an independent central bank, openness to foreign direct investment, and the rise of local transnational corporations. The Economist essentially reproduced a few of the policies of the so-called Washington Consensus as the main driver of the Brazilian success. And institutions played a central role, in particular the institutions that allowed for the market economy to thrive. PS: This was a short blog post for the UC Press and LASA blogs that I forgot to link to before.